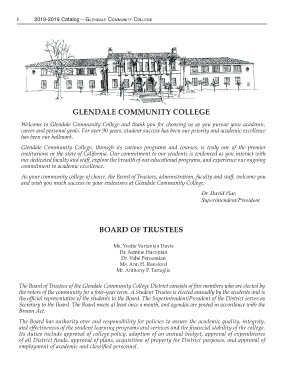 and wish you much success in your endeavors at Glendale Community College. and eﬀ ectiveness of the student learning programs and services and the ﬁ nancial stability of the college. employment of academic and classiﬁ ed personnel.